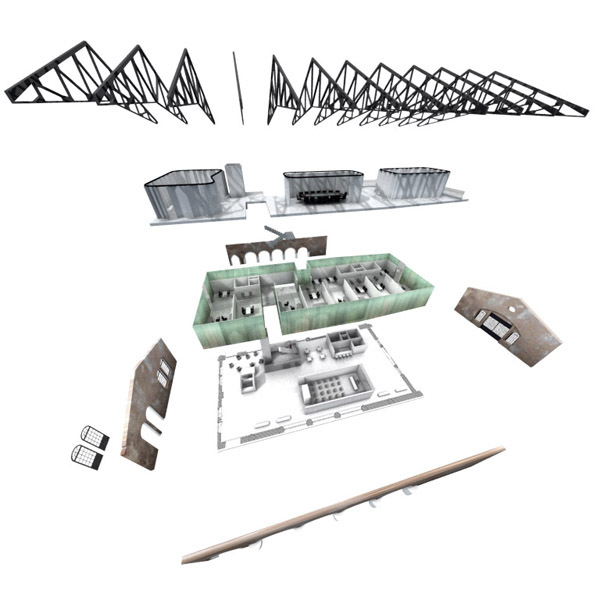 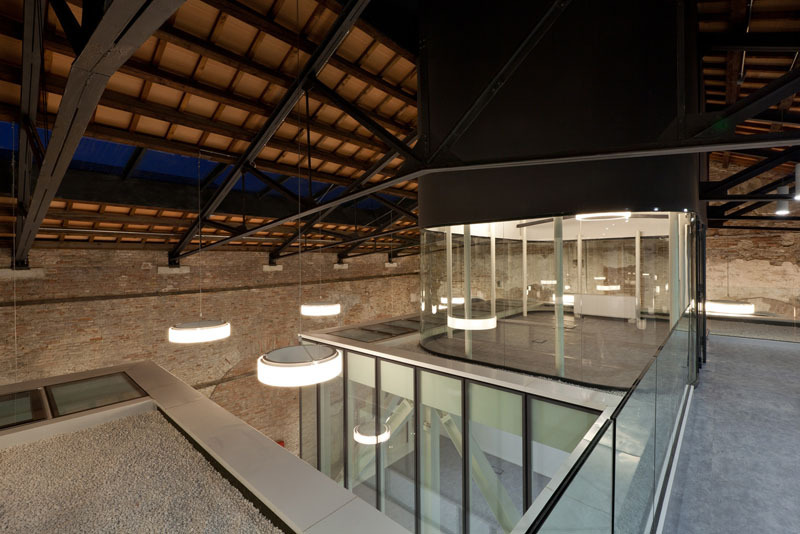 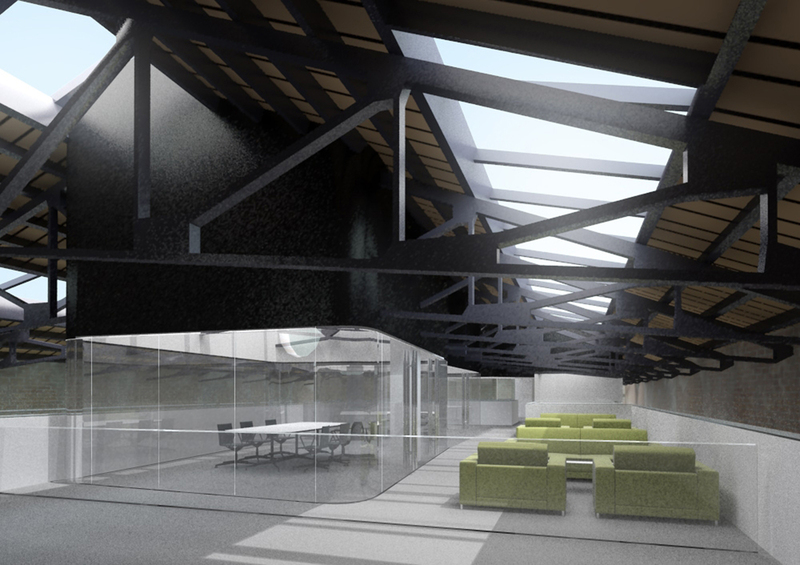 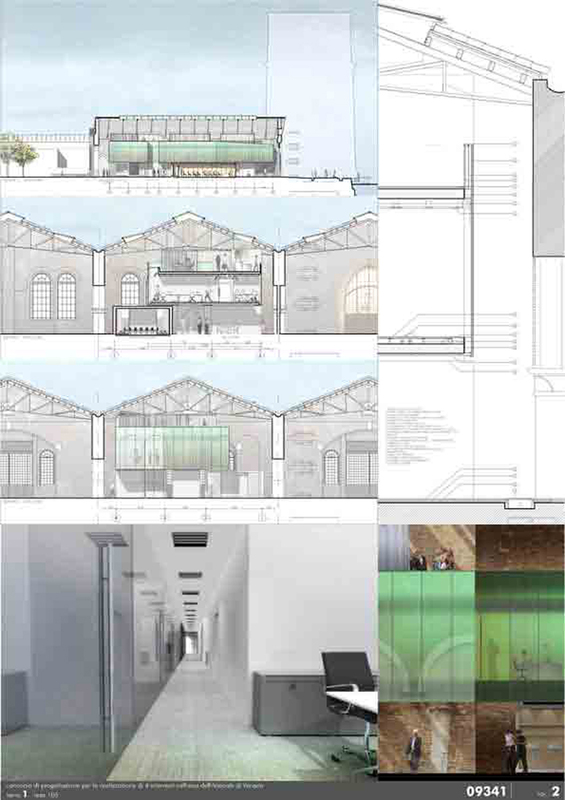 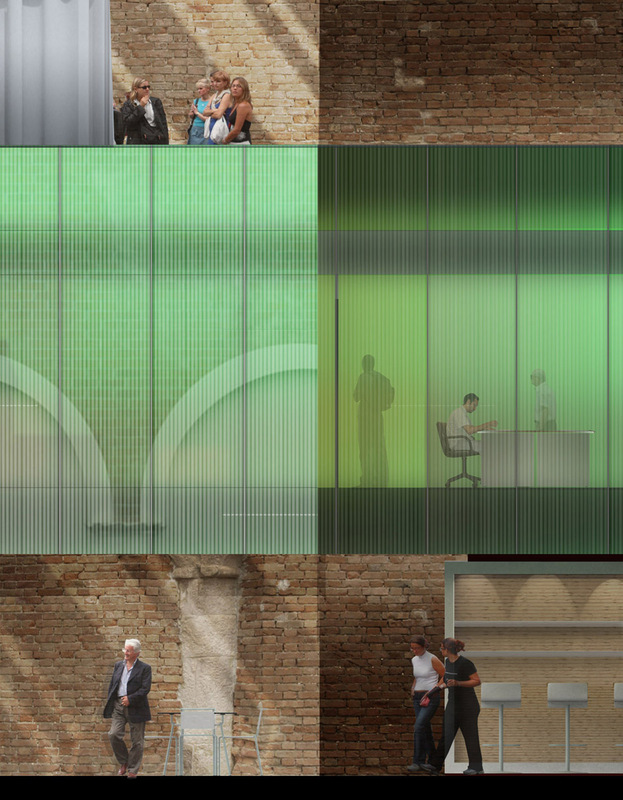 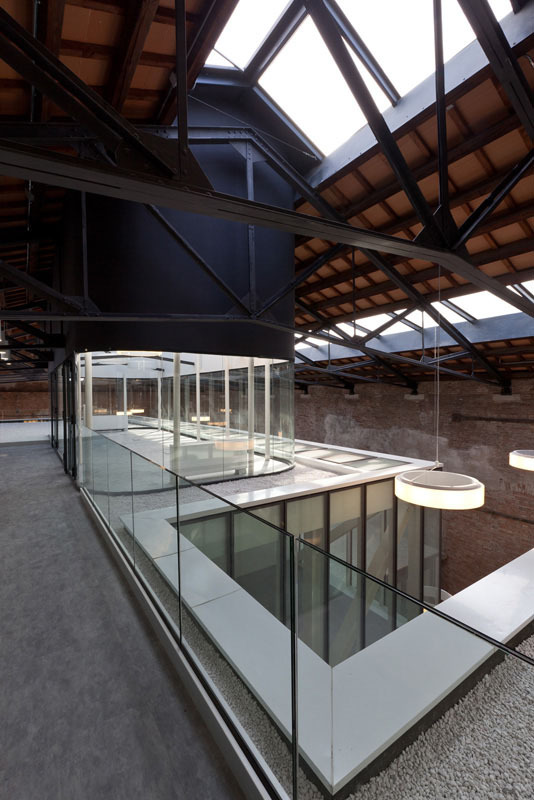 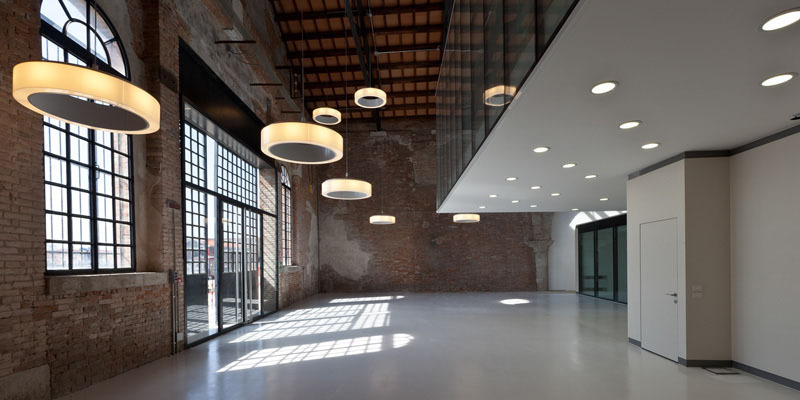 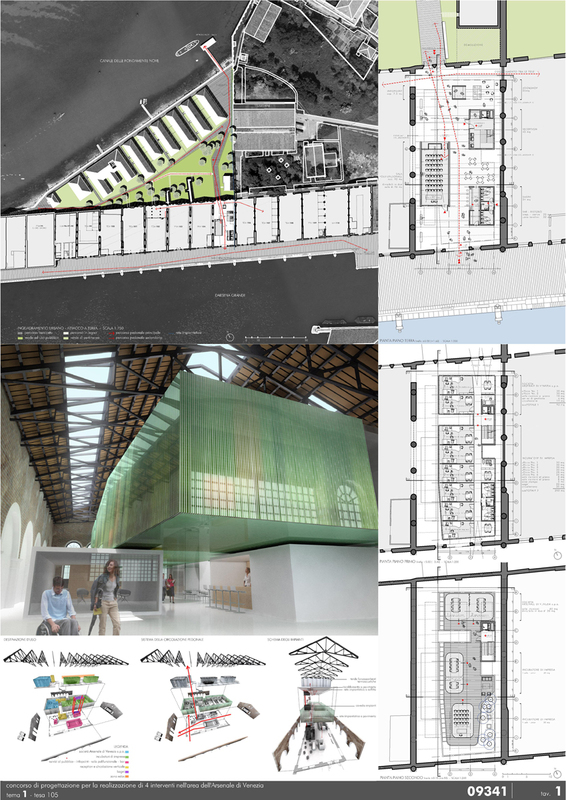 Project for the recovery of the Tesa 105 building at the Fondamenta della Novissima, Venice Arsenale. 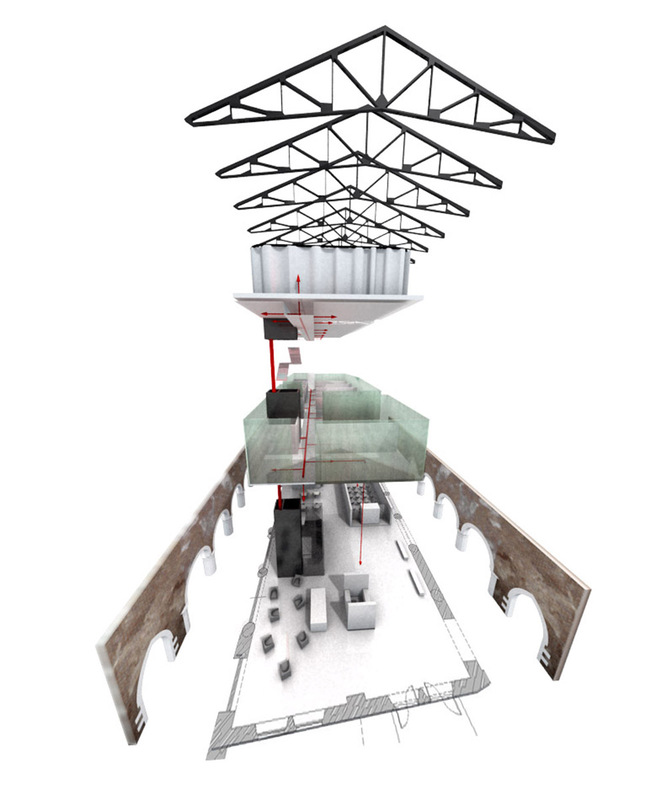 The “Tesa 105” is located inside the broad system of factories in the ‘Novissima’ Docks at the Venice Arsenale. 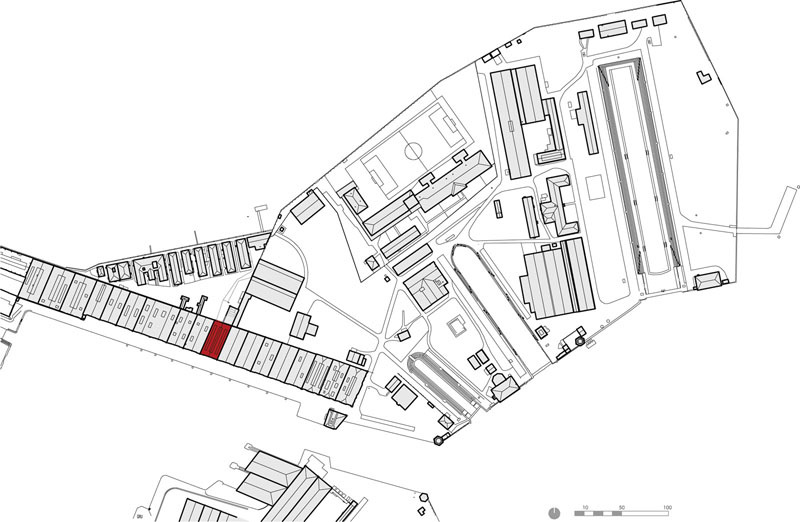 “Tesa 105” will represent the main access to the northern Arsenale through the area of the Casermette. 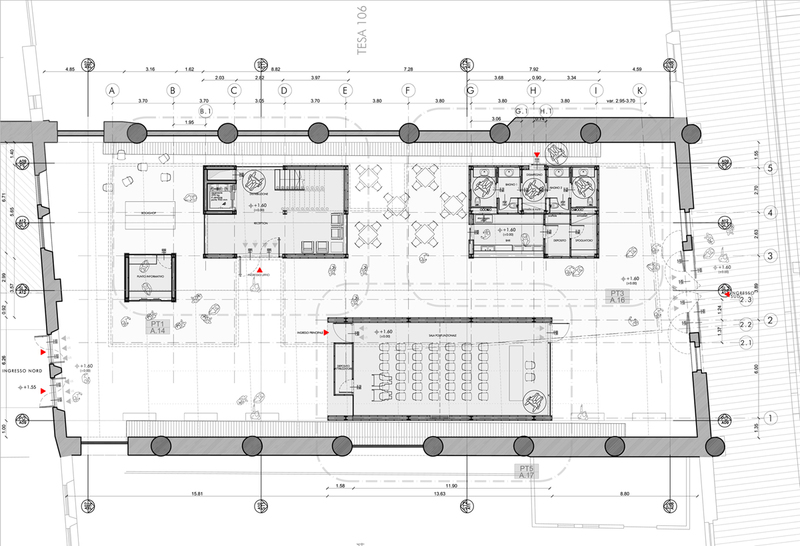 The entrance hall with related services will be located in this building. 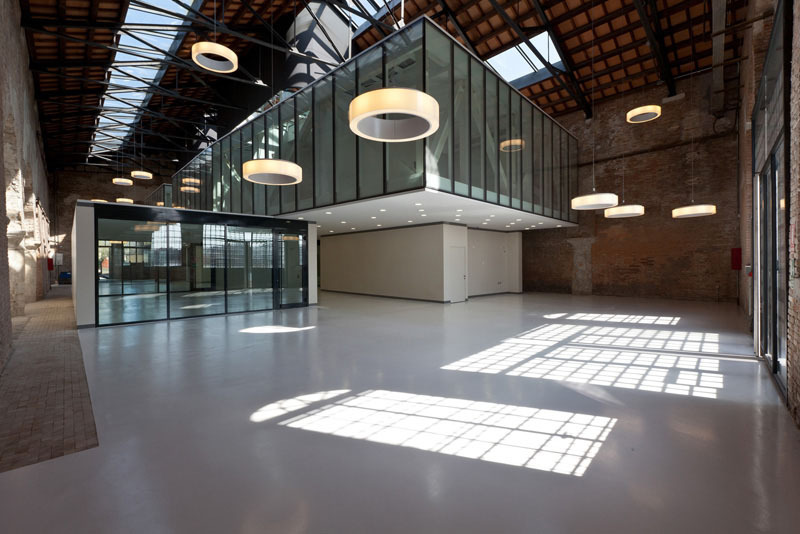 Business incubators will be also hosted. 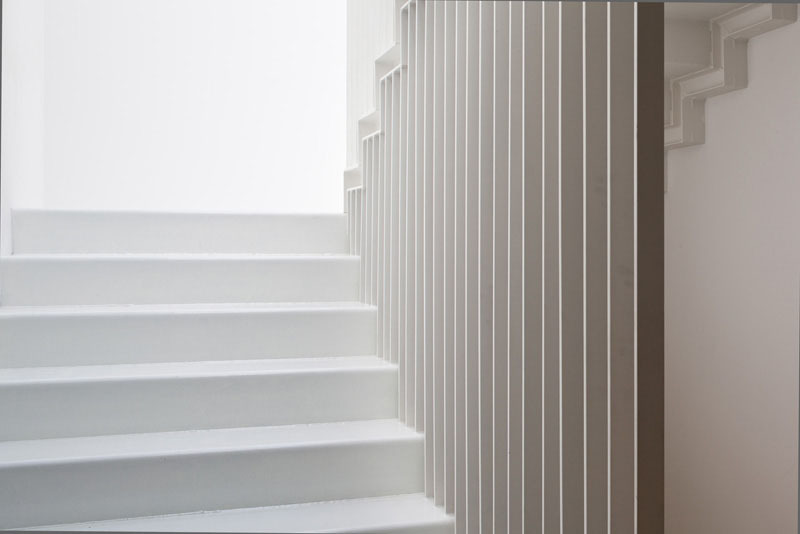 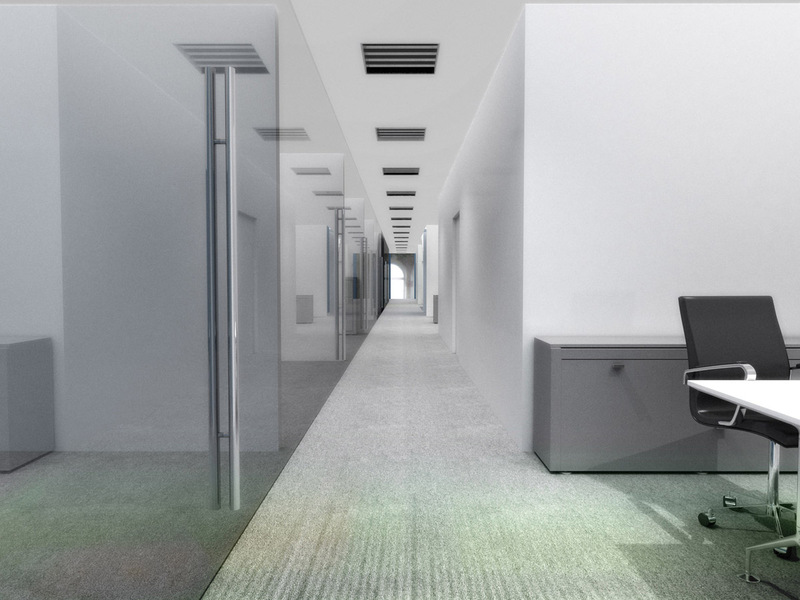 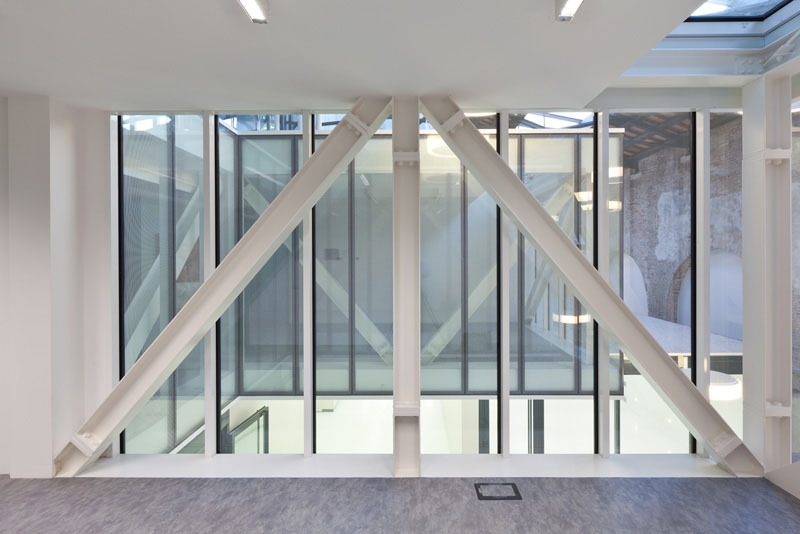 - the second floor has two meeting rooms.